At almost every place in today’s world, corruption, dishonesty and bribery seem to be the norm. That is how the world seems to operate because that is how they have been taught; they do not know better. However, it is really sad when we see dishonesty, unrighteousness and a lack of integrity among God’s people—us—because we should at least know better than to function that way. We should know how to walk in integrity, honesty, purity and righteousness because we read all that in the Word of God. It is even worse when we see unrighteousness, dishonesty and a lack of integrity among pastors, preachers, teachers and ministers of the Word. 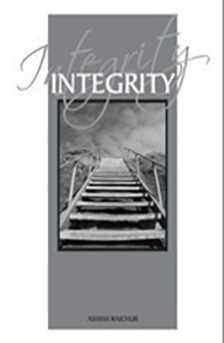 Each of us must come to a place of being totally committed to integrity, honesty and uprightness in everything we do, and this book will stir those qualities within us.